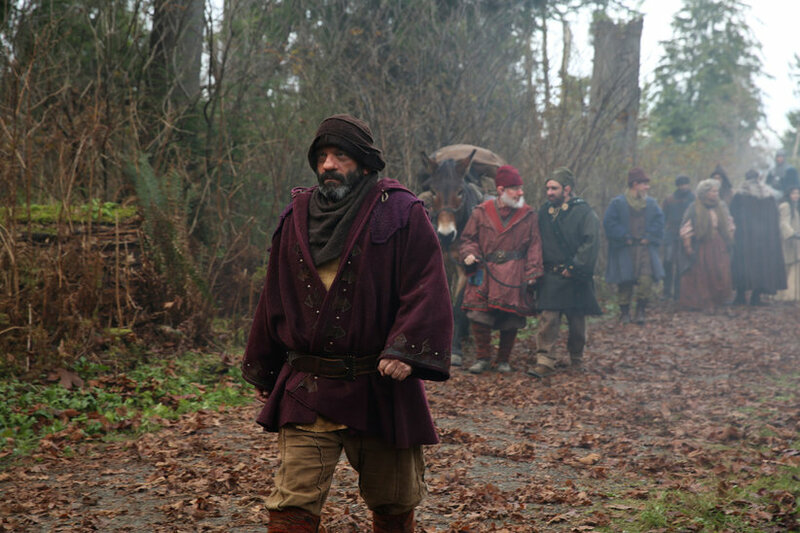 We just told you all about the upcoming episode titled Witch Hunt. 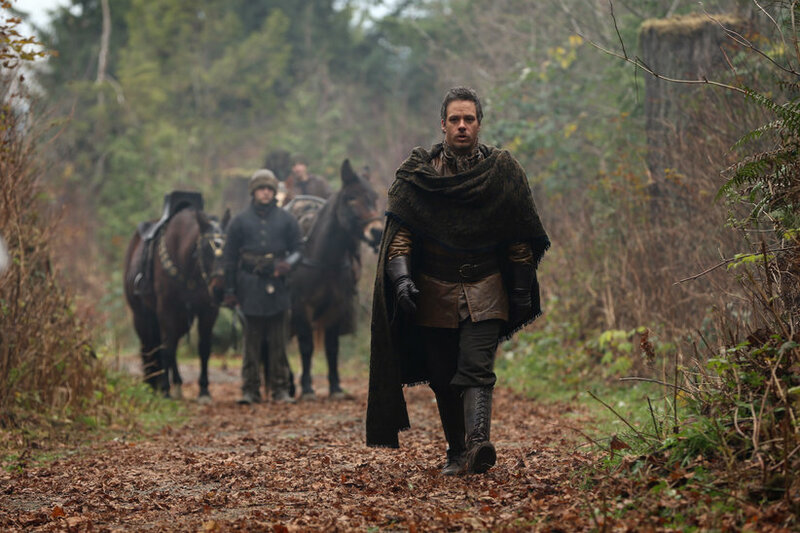 However, we wanted to create a second post for those who are concerned with spoiler pictures. We are always thinking about you. 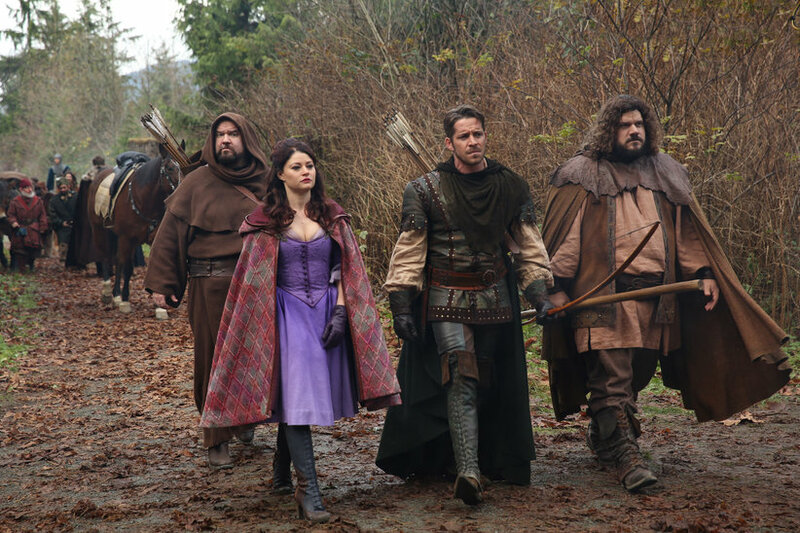 The pictures begin to tell the story of the Evil Queen joining forces with Robin Hood and the rest of our favorite characters in the Enchanted Forest. 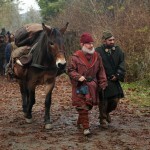 They are on a mission to regain the castle that was overtaken by the Wicked Witch of the West. 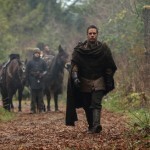 We do see a softer side of the Evil Queen because she is standing between danger and Robin Hood’s son, Roland. This isn’t like her, but she does need his help to regain her castle. 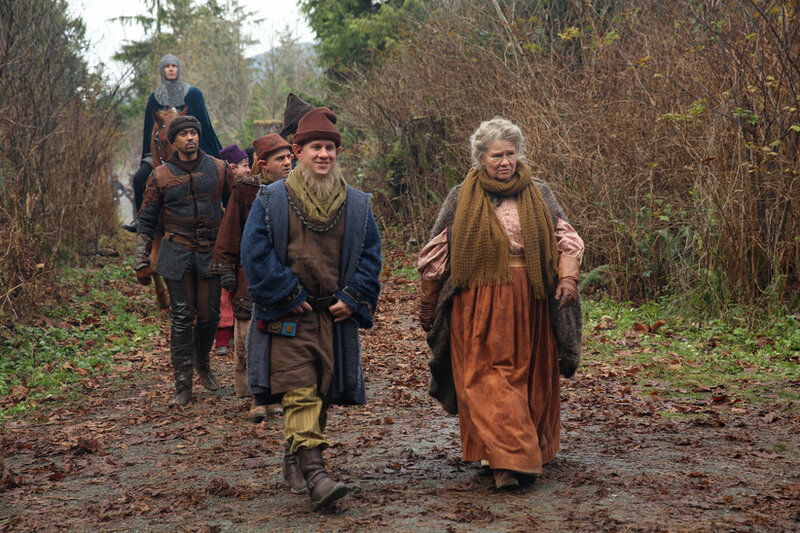 As we move on, we saw all the characters like Belle, Granny, the Dwarfs, Snow, Charming and more. 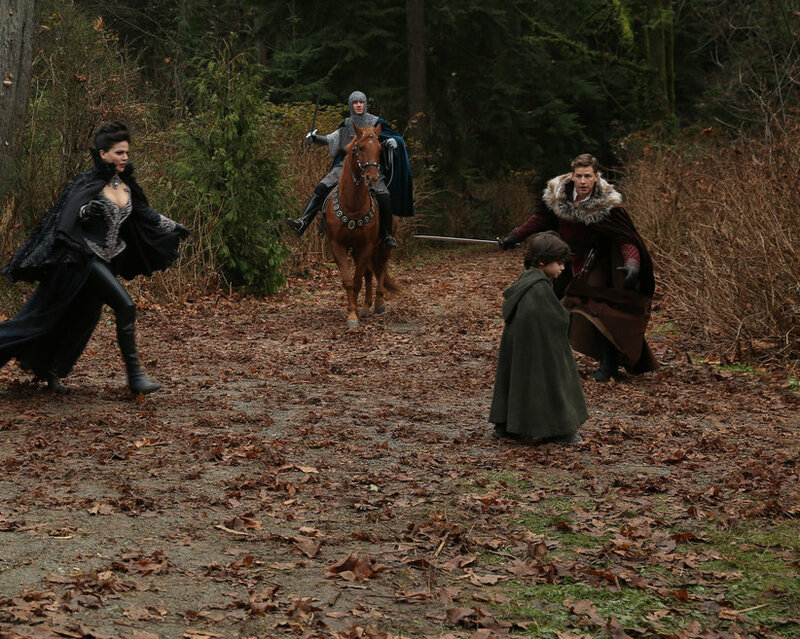 They all seemed to be teamed up to help the Evil Queen. We are guessing they would only do this if things were getting that bad. Could it be crazy flying monkeys are terrorizing their villages? Who knows what the Wicked Witch has unleashed?! 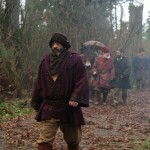 Back in Storybrooke, we get a glance of how things are going. Everything seems very calm, but it is always quiet before the storm. It almost seems like things are normal. Emma and Henry enjoy a warm cup of hot chocolate topped with some cinnamon in Granny’s Diner. However, he still has not regained his memory. 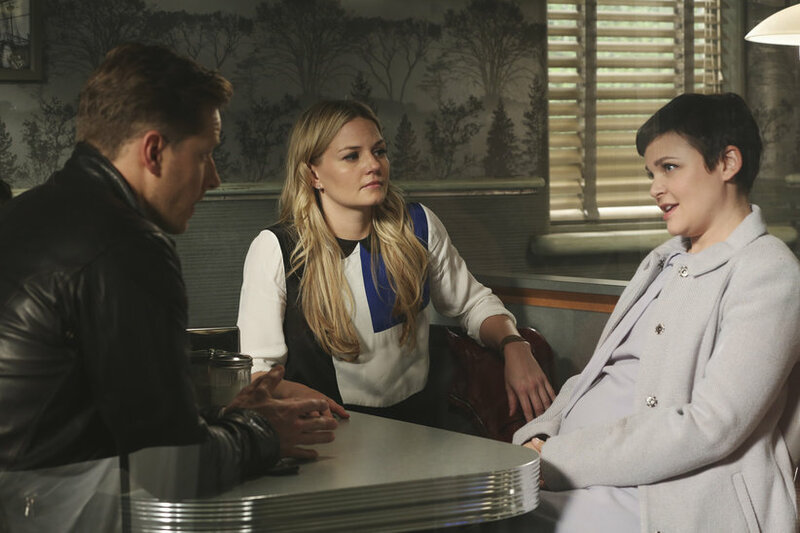 Next, we see Emma, Charming and Snow having a chat at the diner. They are discussing how no one remembers how they got back. We also noticed that Emma has not been wearing her iconic red jacket. We only assume that will come back when she is ready to battle. At this time, she seems much more relaxed. Maybe New York did her some well-rested good. 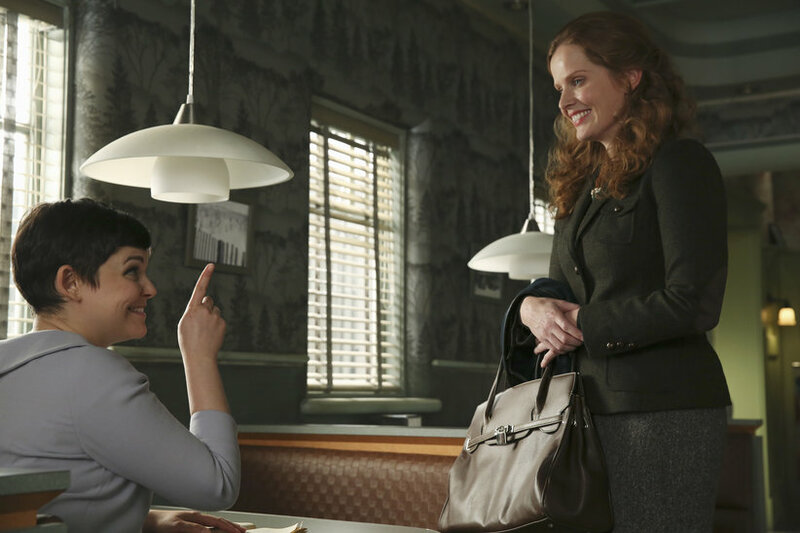 Later on, Emma and Regina have a talk. 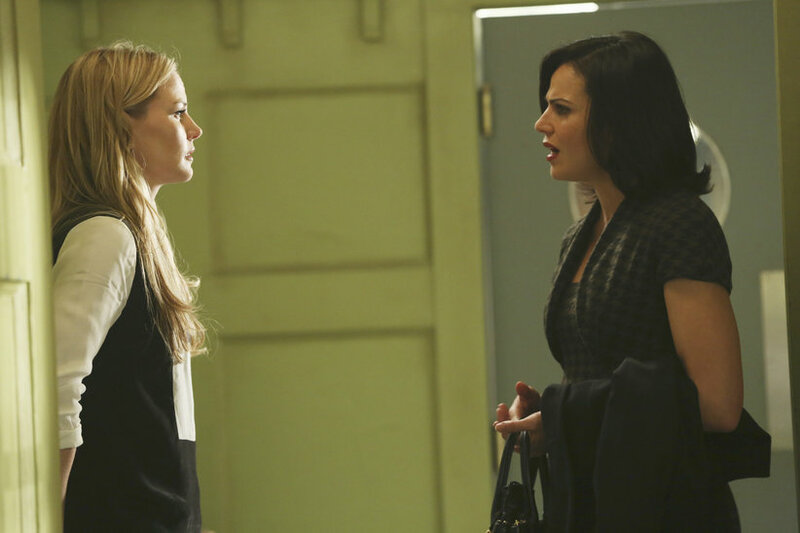 Regina is upset that Emma brought Henry back. She fears the danger that could be lurking in the town. 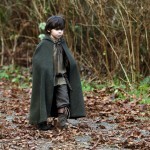 Now, Regina is also upset in the photos because she saw someone in Granny’s Diner. 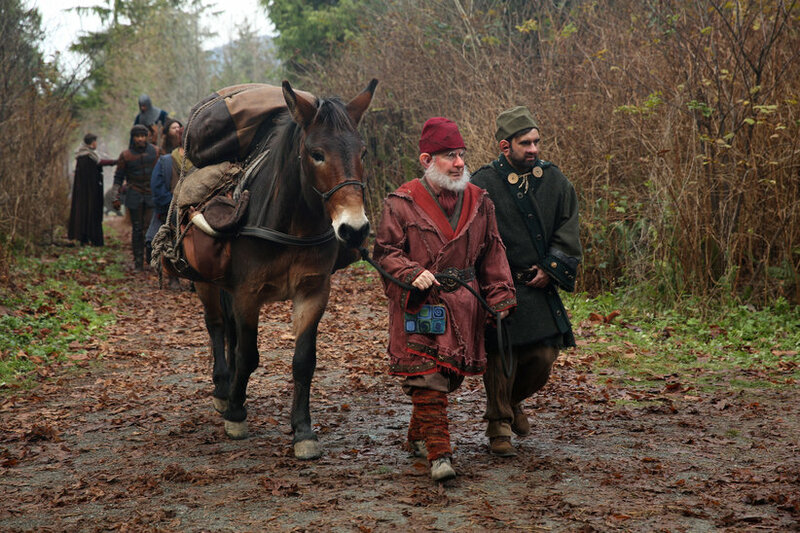 We are not sure if it was over Henry or Zelena. Finally, we come back to Granny’s Diner. Mary Margaret is reading a book about modern day parenting. However, it is really making her nervous about raising a child. After all, this is her and David’s first baby they are raising. They really did not have much time with Emma. 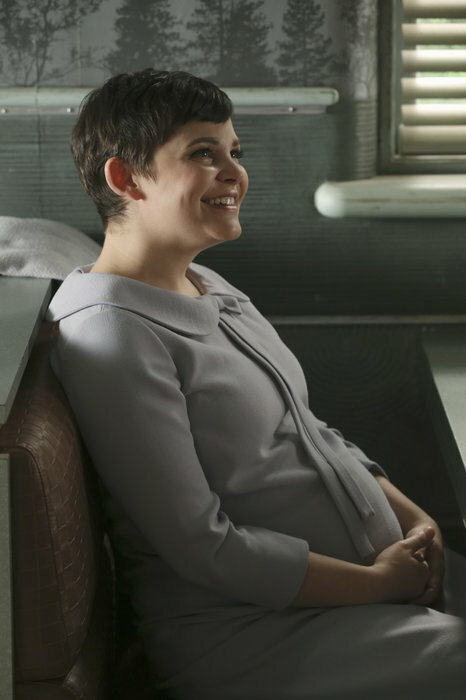 Regardless, Mary Margaret is reading her book. In comes a new face. Her name is Zelena. 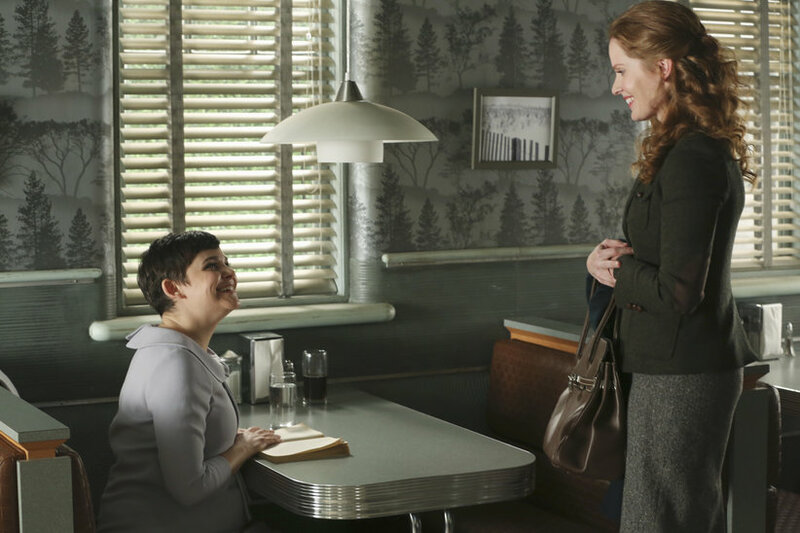 She befriends Mary Margaret. 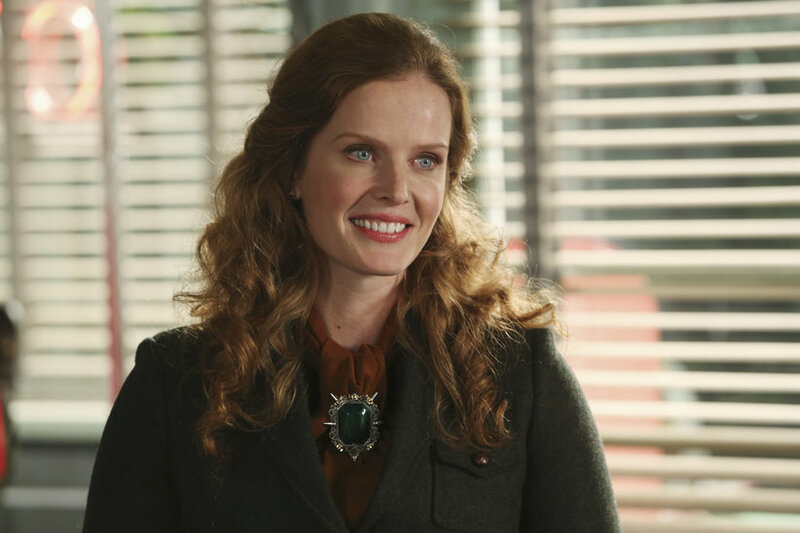 However, Zelena is also the Wicked Witch of the West. 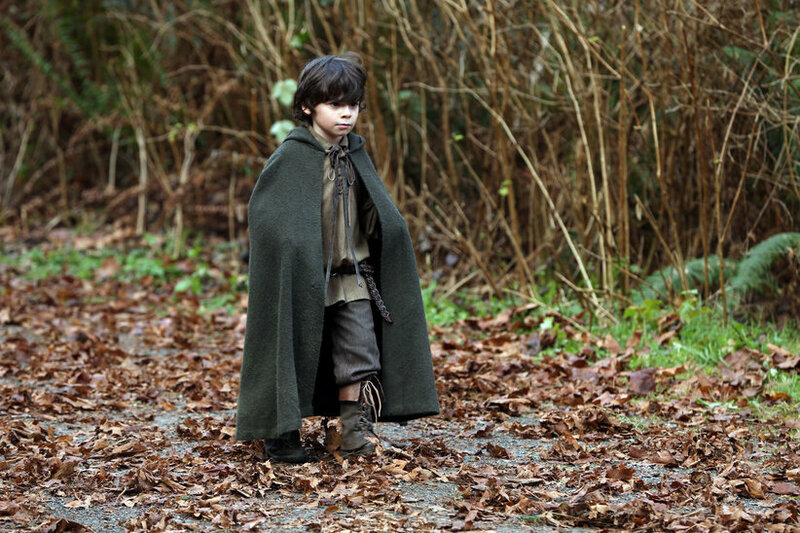 We learn that she might be a little more interested in Mary Margaret and David Nolan’s unborn child. What could all this mean? Where are we going next on this crazy adventure? Tell us your theories in the comment section below! Reading this from an email? Click here to view the pictures.